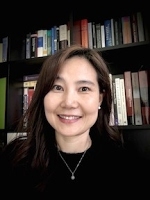 Jean Oh is a faculty member at the Robotics Institute at Carnegie Mellon University. Jean is passionate about creating persistent robots that can co-exist and collaborate with humans in shared environments, continuously learning to improve themselves over time through training, exploration, and interactions. Toward this general goal, her current research is focused on the topics at the intersection among vision, language, and planning in robotics. 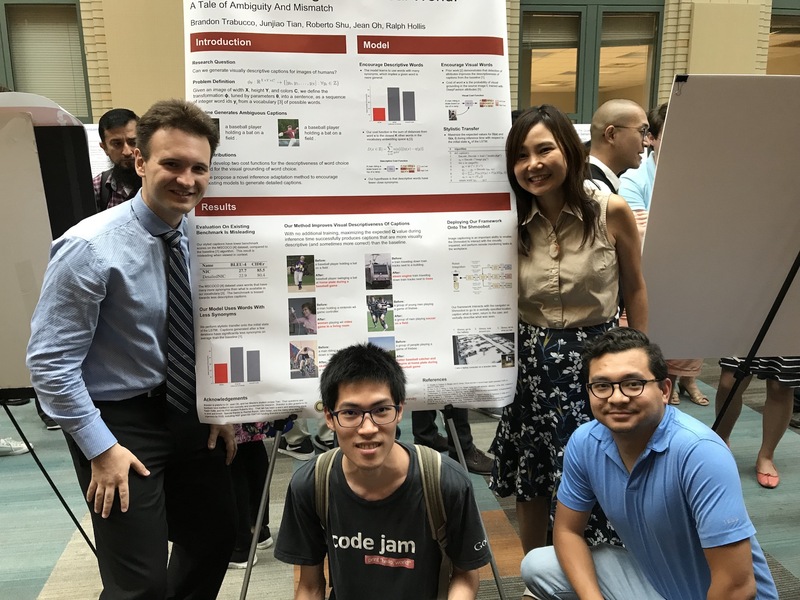 Jean has been leading several robot intelligence tasks in government, defense, and commercial projects in various problem domains including soldier-robot teaming, self-driving cars, disaster response, eldercare, and arts. Jean heads an interdisciplinary research group, Bot Intelligence Group (BIG), that currently includes 10 graduate and 2 undergraduate students from the Robotics Institute, Language Technologies Institute, Computer Science Department, Machine Learning Department, School of Information Science, and Mechanical Engineering Department. 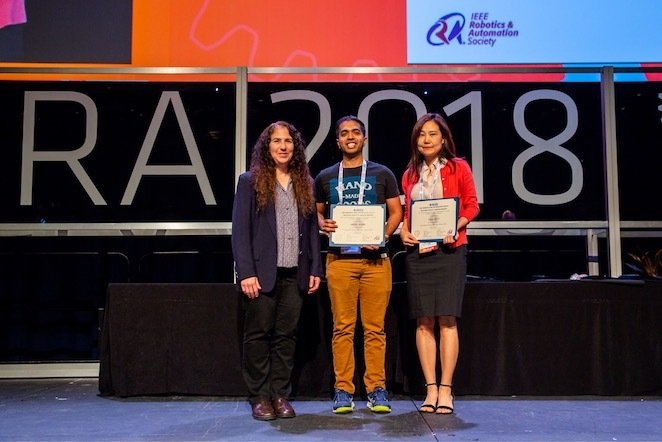 Jean's team has won two Best Paper Awards in Cognitive Robotics at IEEE International Conference on Robotics and Automation (ICRA) in 2015 and 2018 for the works on following natural language directions in unknown environments and socially-compliant robot navigation in human crowds, in 2015 and 2018, respectively. 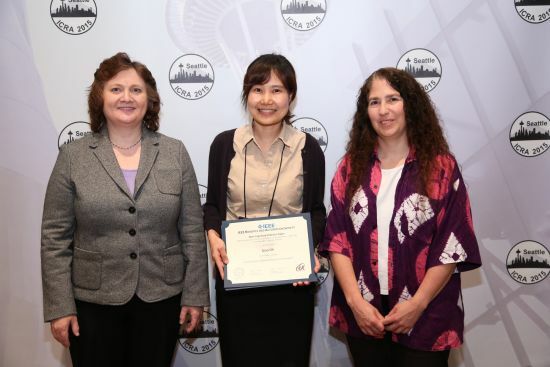 Jean received her Ph.D. in Language and Information Technologies at Carnegie Mellon University, M.S. in Computer Science at Columbia University, and B.S. in Biotechnology at Yonsei University in South Korea. This is a new course co-taught with Prof. Eunsu Kang at Machine Learning Department. A. Vemula, K. Muelling, J. Oh. Social Attention: Modeling Attention in Human Crowds. In Proc. 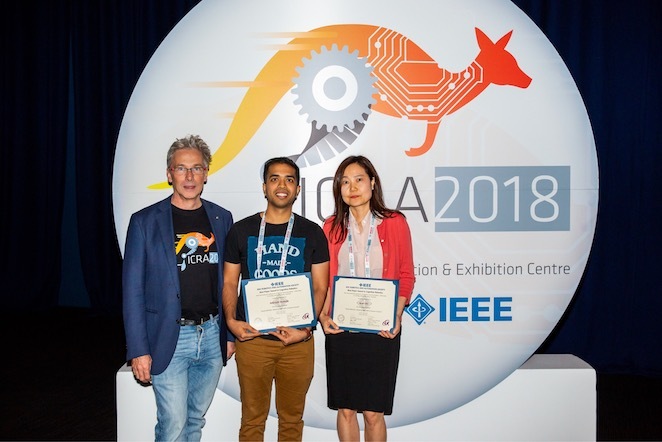 of IEEE Conference on Robotics and Automation (ICRA), Brisbane, Australia, 2018. (Best Paper Award in Cognitive Robotics) [ArXiv]. A. Boularias, F. Duvallet, J. Oh, and A. Stentz. Learning to ground spatial relations for outdoor robot navigation. In Proc. of IEEE Conference on Robotics and Automation (ICRA), Seattle, WA, 2015. 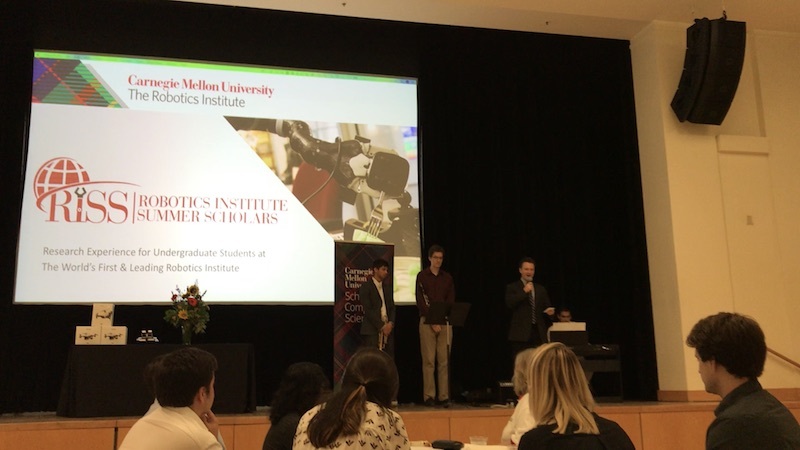 (Best Paper Award in Cognitive Robotics). [pdf].